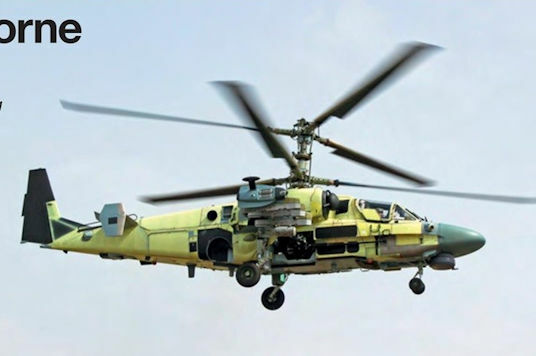 The Mi-26T2 upgrade has attracted attention from military customers only, with Algeria and Jordan ordering the type, while a Russian military order for the new helicopter is expected in 2018. This year's Royal Canadian Air Force Demonstration CF-18 Hornet is painted in a colour scheme celebrating the 150th anniversary of the confederation of Canada, and honours the history of the Royal Canadian Air Force and Canadian Armed Forces. Painted red and white, Canada’s traditional colours, the aircraft has the official logo for Canada 150, comprising a series of diamonds arranged in the shape of the iconic maple leaf placed throughout the design. The redesigned forward stairs in the A380 are designed to create space for 20 more passengers and would raise the A380’s four-class capacity to 575 seats. 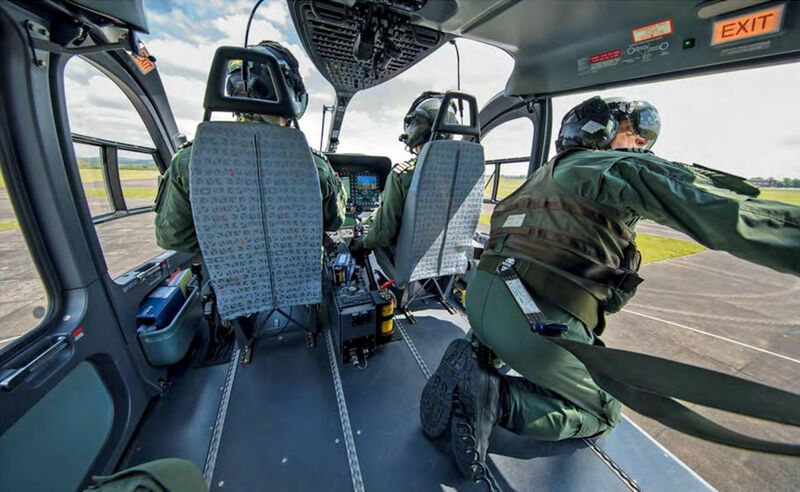 The Ansat light twin is the big hope for a breakthrough in the civil market, mainly for helicopter emergency medical services and VIP roles, as it is described as very competitive in price compared to Western models in the same weight class. Osterreichische Luftstreitkrafte Typhoon 7L-WJ lands at Wittmundhafen Air Base. 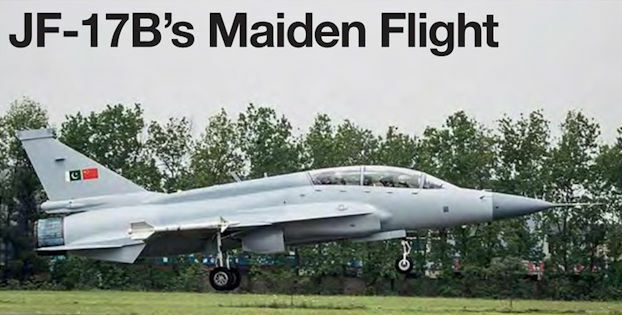 On April 27, 2017, the first prototype of the two-seat JF-17B Thunder multi-role fighter performed its maiden flight at Chengdu, China. The first Loganair Saab 340 wearing the airline's new livery has emerged from the paint shop as the carrier prepares to relaunch as a newly re-independent airline later this year. 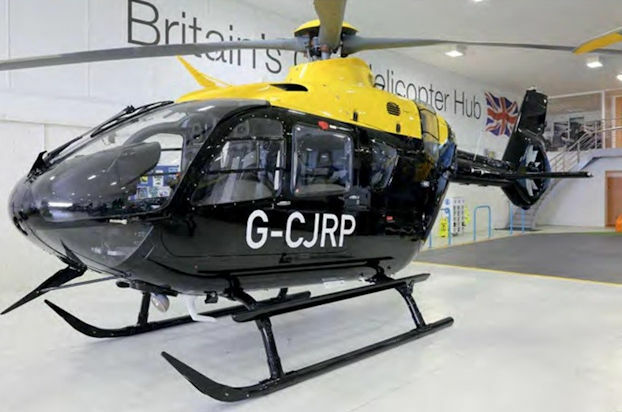 The aircraft, G-LGNN (c/n 197), pictured here, was repainted at East Midlands Airport. MV-22B Osprey BuNo 168341/YX00 assigned to Marine Tiltrotor Squadron 166 (VMM-166) ‘Sea Elks’ participated in WTI 2-17 at Marine Corps Air Station Yuma, Arizona during April 2017. 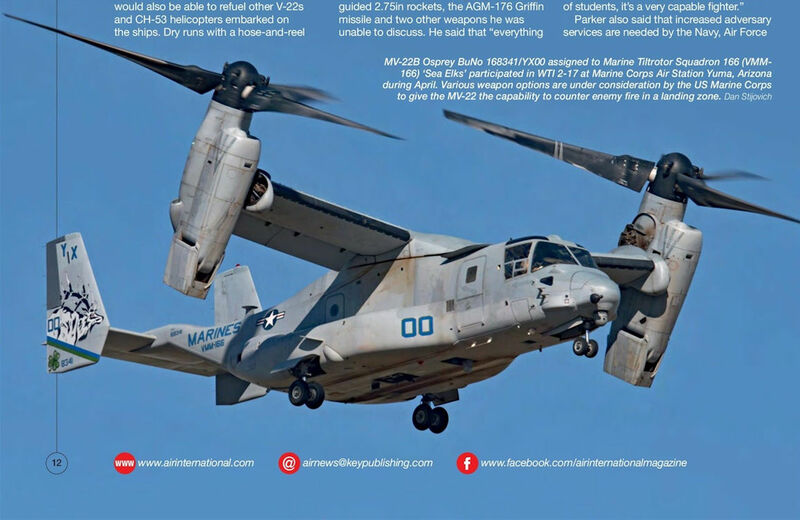 Various weapon options are under consideration by the US Marine Corps to give the MV-22 the capability to counter enemy fire in a landing zone. 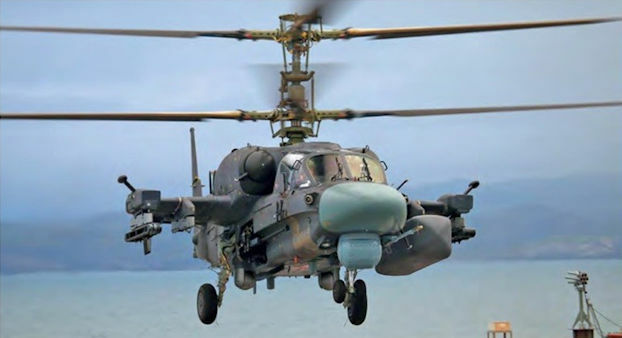 The Ka-52K has successfully completed the first phase of its naval test programme involving two helicopters, which were then transferred to Kamov's technical facility in Moscow for technical evaluation after an at sea period. Phase one took place between late 2016 and early 2017, with one Ka-52K operating from the flight deck of the Admiral Kuznetsov. On May 5, 2017, the Chief Executive Officer of Russian Helicopters, Andrey Boginsky visited the Progress production plant in Arsenyev in the Far East of Russia, to see the preparations being made to fulfil the first export contract for Ka-52 helicopters to Egypt. The first Egyptian aircraft was demonstrated to Boginsky during a test flight. Three further Ka-52s at various stages of assembly were present in the final assembly hall. 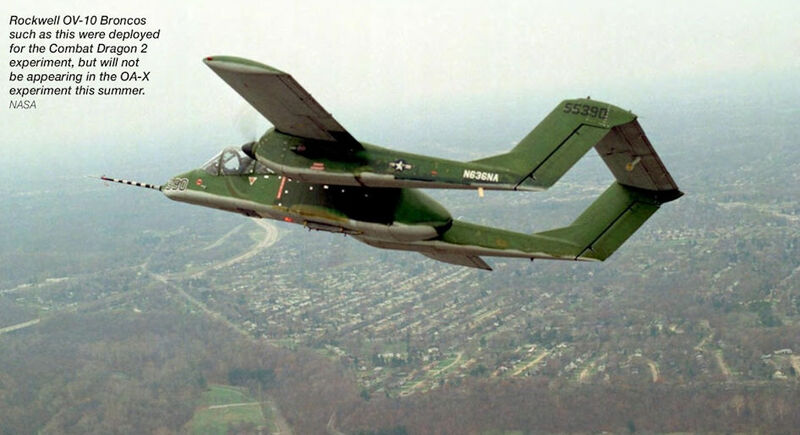 Rockwell OV-10 Broncos such as this were deployed for the Combat Dragon 2 experiment, but will not be appearing in the OA-X experiment this summer. Four A-29 Super Tucanos after their arrival at Kabul, Afghanistan on March 20, 2017. 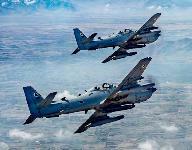 The aircraft bolster the Afghan Air Force's inventory from eight to 12 A-29s in country. Two Afghan Air Force A-29 Super Tucanos fly over Afghanistan on a training mission. 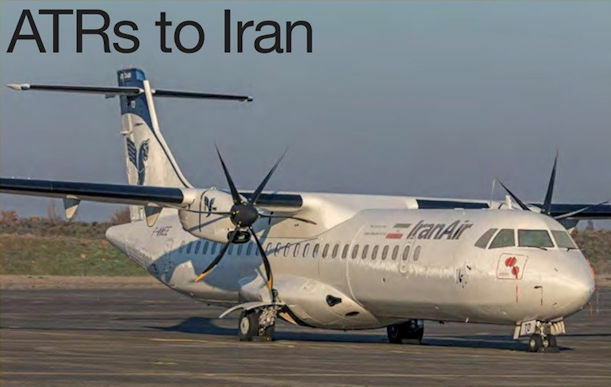 ATR 72-600 EP-ITD (msn 1391), pictured at Toulouse earlier this year, is one of the first group of ATRs recently delivered to Iran Air. Cal-Fire air tanker 91 releases its 1,200-gallon (4,542-litre) load during a training drop over Solano County in preparation for the start of the 2017 California wildfire season. Grumman/ Marsh Aviation S-2F3AT (S-2T) is registered to the US Department of Agriculture Forest Service, managed by Cal-Fire and flown and maintained under a contract with DynCorp at McClellan Field in Sacramento, California. 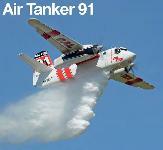 It is one of 23 S-2Ts that will be deployed this year to 13 Cal-Fire fire attack bases throughout the state. Tanker 91 is set to be deployed to Ukiah in northern California for 2017. This A350-900, HL-8078 (msn 94, ex-F-WNZY), departing Toulouse on its delivery flight to South Korea, is the first of 30 to enter service with Asiana Airlines. 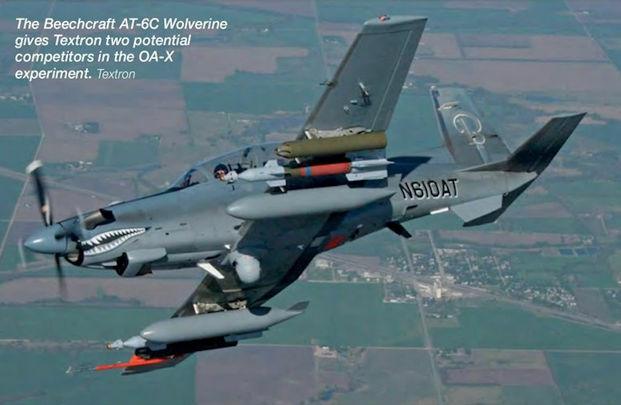 The Beechcraft AT-6C Wolverine gives Textron two potential competitors in the OA-X experiment. Jupiter HT1 G-CJIV/ZM500 and Juno HT1 G-CJIW/ZM505 at RAF Shawbury, Shropshire on April 3, 2017. 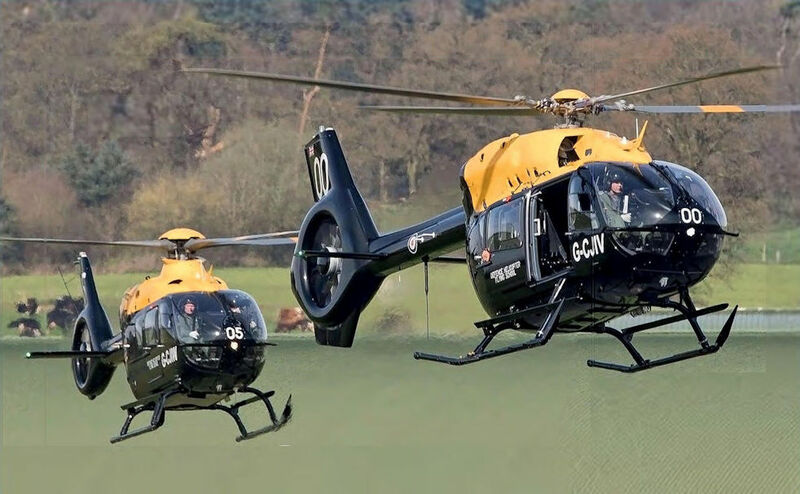 Airbus Helicopters signed a contract valued at ?500 million over 17 years to deliver 29 Airbus Helicopters H135 Juno HT1s and three hoist-equipped H145 Jupiter HT1s, with full associated support services into the programme. 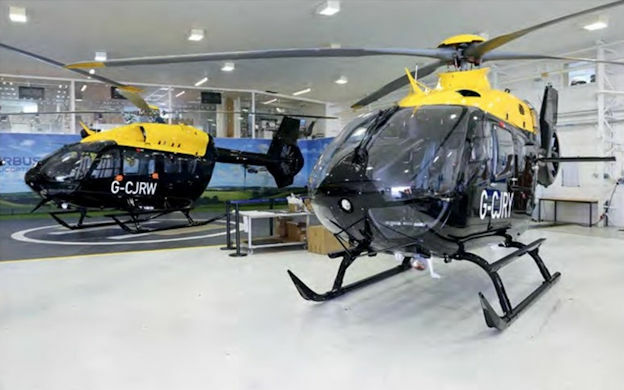 The twin-engine H135 Juno HT1 will replace the single-engine H125 Squirrel HT1. The Juno is powered by Safran Arrius 2B2Plus turbines. 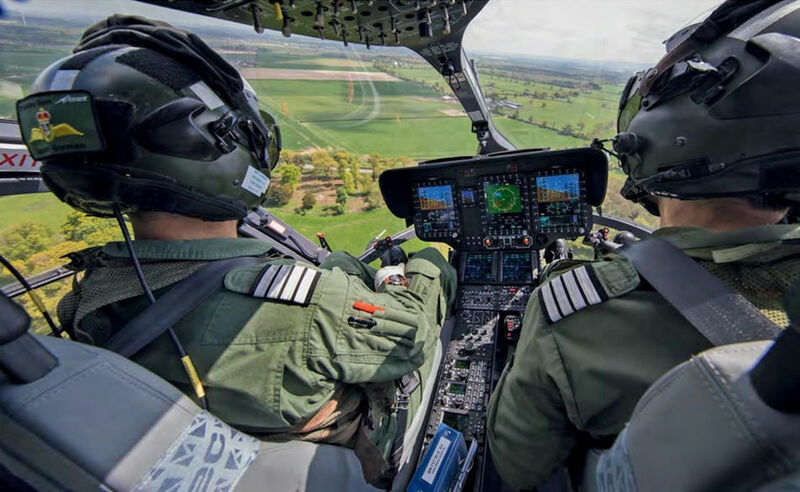 Both the H135 Juno HT1 and H145 Jupiter HT1 are equipped with Airbus Helicopters’ latest fully integrated glass cockpit and avionics system, Helionix. The fielding team have focused on completing the test and adjust phase which involves assessing the new training syllabus, determining what needs to be trained and fine tuning exactly how this will be trained in the new aircraft. The first COMAC C919, B-001A (c/n 101), departs Shanghai on its May 5, 2017 maiden flight. 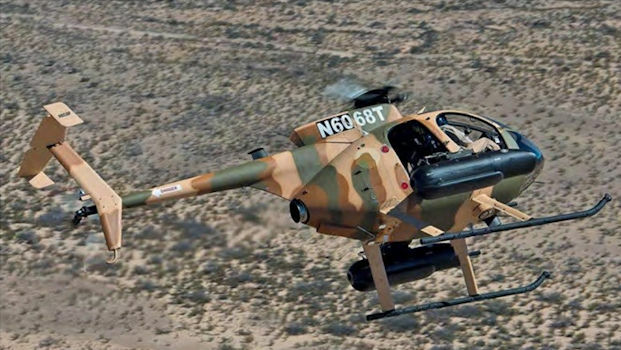 Kenya has requested 12 MD530F helicopters from the United States, along with weapons and ammunition. The US Defence Security Cooperation Agency (DSCA) said it had approved the possible sale and notified Congress on May 1, 2017. 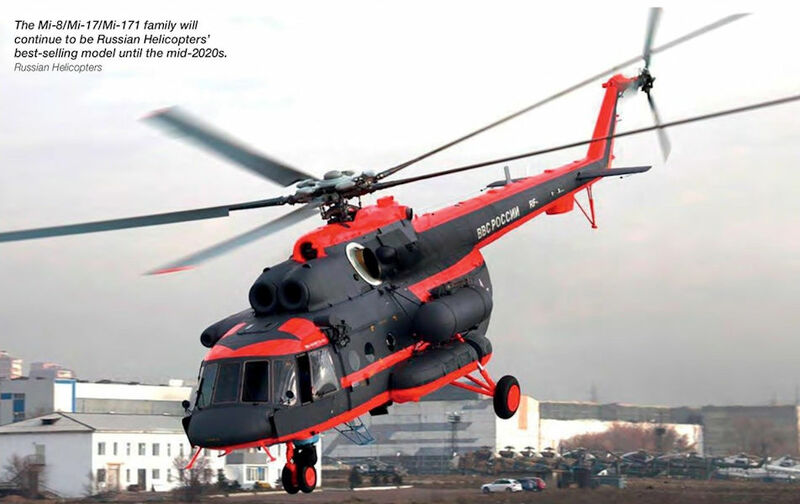 The Mi-8/Mi-17/Mi-171 family will continue to be Russian Helicopters’ best-selling model until the mid-2020s. F/A-18C BuNo 164270/DC00 assigned to Marine Fighter Attack Squadron 122 (VMFA-122) ‘Werewolves' is the latest CAG-bird assigned to the unit. Additional adversary services are needed by the US Marine Corps to reduce the fatigue-life toll on its own frontline fighters like the F/A-18C Hornet. 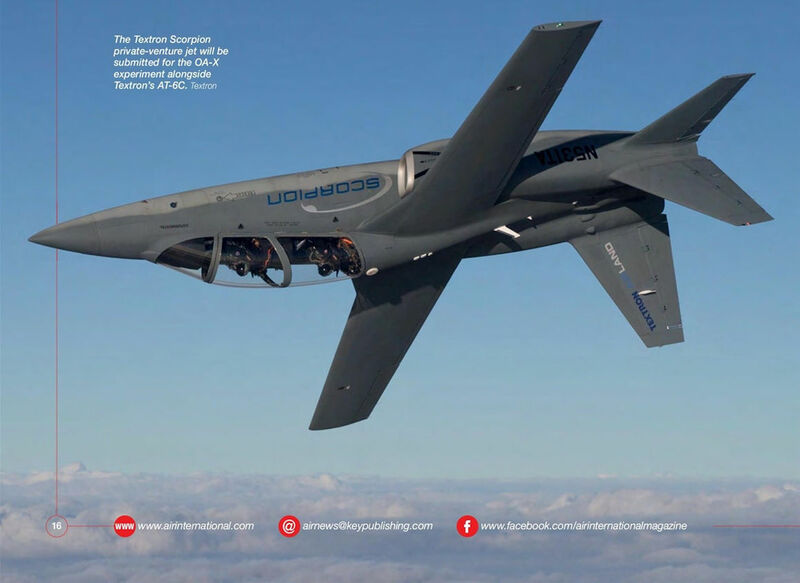 The Textron Scorpion private-venture jet will be submitted for the OA-X experiment alongside Textron's AT-6C. The first F-35B assembled outside the United States rolled out of the Final Assembly and Check Out facility at Cameri Air Base, Italy on May 5, 2017. 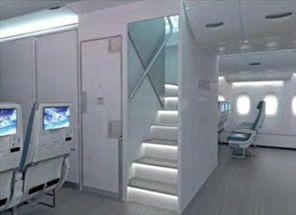 The aircraft’s first flight is anticipated in late August and is programmed to be delivered in November. 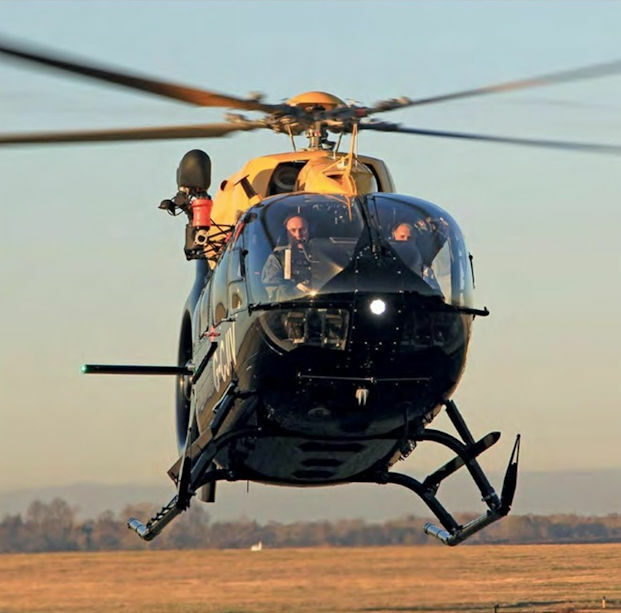 After a series of confidence flights from Cameri, an Italian pilot will fly the aircraft to Naval Air Station Patuxent River, Maryland, in early 2018 to conduct electromagnetic environmental effects certification. 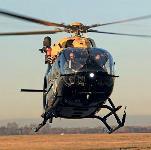 One of the three H145 Jupiter HT1s that are part of the UKMFTS contract. Following flight tests this year, the next step in the DLR's Elektra project will be the first stratospheric flights in 2018. 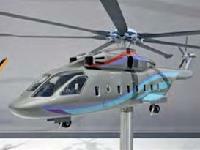 The agreement between China and Russia on the development of a new heavy helicopter is 99% complete. 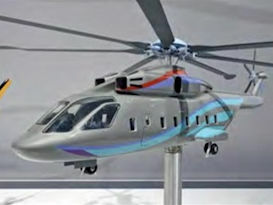 According to Russia's Sputnik news agency, Gui Congyou, the Head of the Department of European-Central Asian Affairs in China's Ministry of Foreign Affairs, said: “The joint Russia-China project on development of a heavy-lift helicopter is progressing well, the agreement is expected to be signed, 99% of provisions have been agreed on." 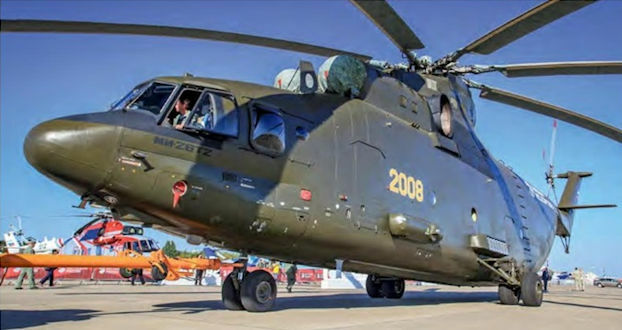 In May 2015, the Aviation Industry Corporation of China (AVIC) and the Russian Helicopters Corporation signed a framework cooperation agreement on common development of a new-generation Advanced Heavy-Lift (AHL) helicopter.